Another movie review for you has arrived! This movie wasn’t on my to-watch-list, but I’m so glad I’ve seen it! What a beautiful movie… at the ending I was speechless. The movie is based on the 1969 autobiography by the French convict Henri Charrière. The book tells his life story. He is a safecracker from the Parisian underworld, until he becomes a prisoner. He got framed for a murder he didn’t commit. 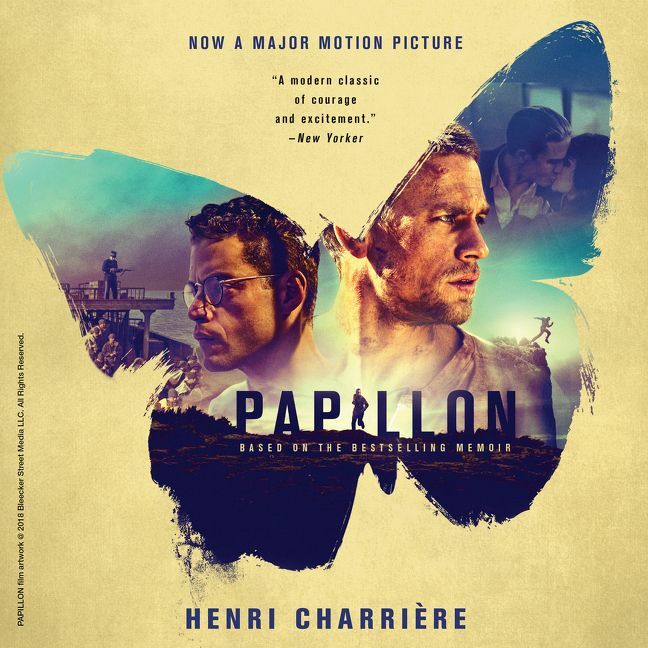 This event causes him to spend the rest of his life on Devil’s Island if it’s up to the law, but not if it’s up to Papillon (Henri Charrière). Henri Charrière gets called Papillon, because of the butterfly tattoo he has on his chest. Papillon isn’t planning on staying a prisoner for too long. On one of his first days he meets the rich man Louis Dega. In order to keep Dega safe from the other prisoners, he pays for all of Pappillon’s escape attempts. But what will happen if they run out of money and out of chances? This movie tells an incredible story about: betrayal, faith, pain, friendship and hope. It’s so hard to believe a man has actually lived this story… but it has happend. I think that makes this movie even more beautiful.